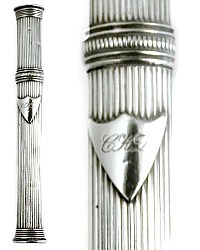 Fine quality Sterling Silver Dutch Needle Case, with decorative ribbed body and a monogrammed shield. 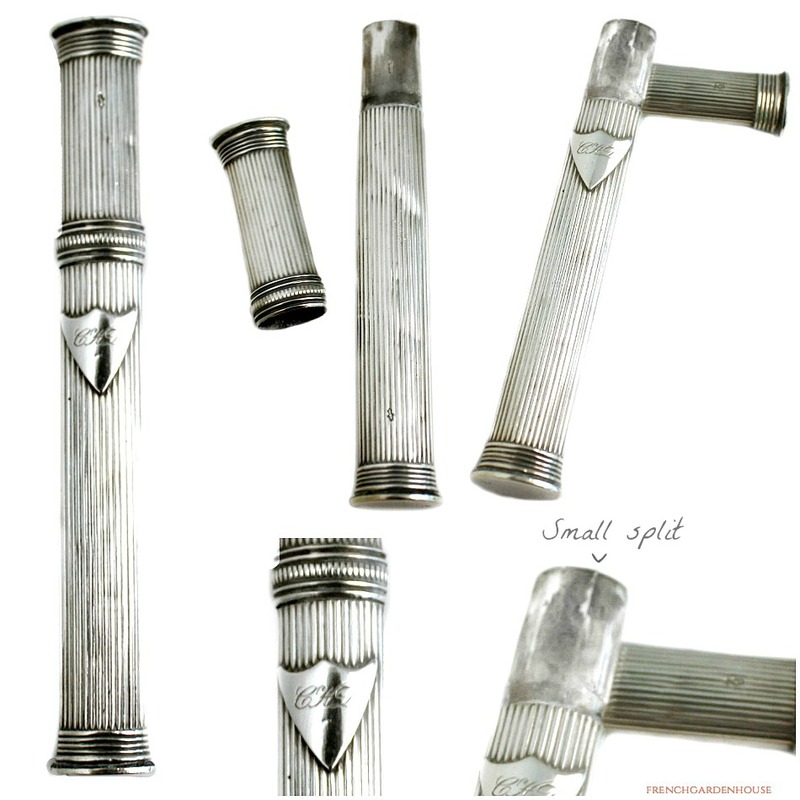 This was no doubt a luxury gift for a sewing enthusiast, the slender case held her precious needles, it is large enough for embroidery needles that are a bit longer, or perhaps this is what is called a "bodkin" case. This collectable sewing antique is useful, and a fabulous addition to your sewing tool collection. Display this with other small silver objects in a glass vitrine, or use this to store your own embroidery needles in your own great personal style. 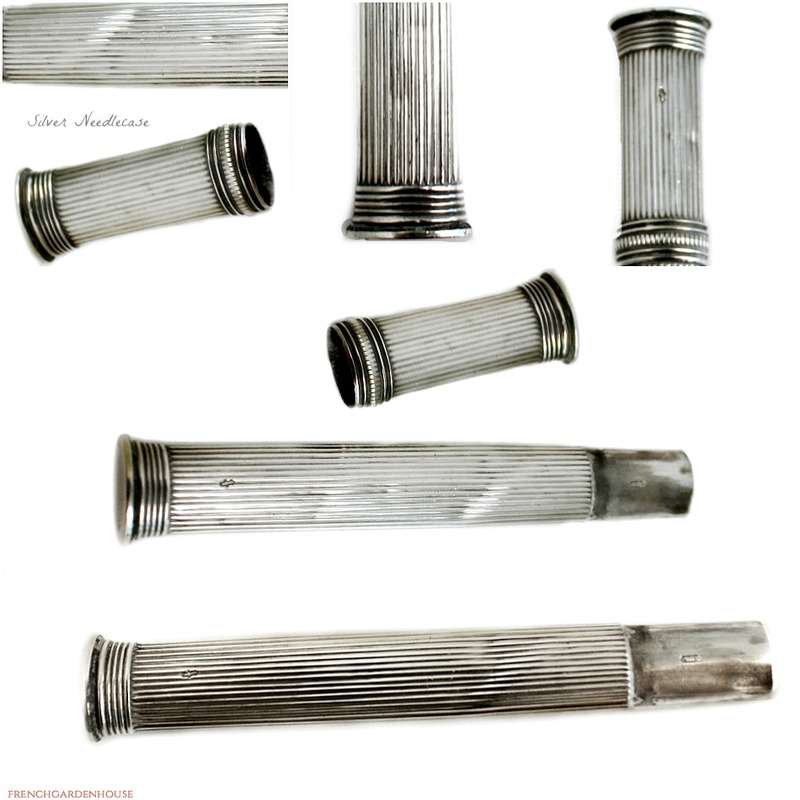 Good antique condition, there are a few small indentations as the silver is so pure, inside, there is a small seperation where the cap goes over the bottom as shown. Marked with the Dutch sword dating this to the early 1800's. Measures: 3~7/8" x 1/2" x 1/4".